I'm not quite sure what's wrong with me, but if I'm posing for a pic in front of something that looks strange, I feel the need to look strange as well. (Clearly I'm the one on the left.) 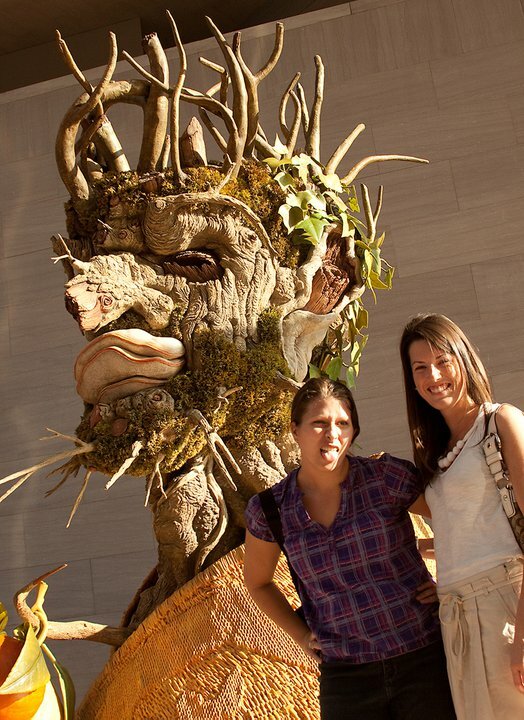 This giant wooden sculpture was on display at the Hirshorn in DC in 2010. The artist had many other installations made from wood, moss, and fruit. If you like modern art, the Hirshorn museum and outdoor sculpture garden is a must-see. One is naturally obliged to make strange faces in such a setting!